Columnist Maksim Novoselsky has slammed the Estonian president on BaltNews for refusing to join the anti-terrorist coalition in case Russia takes part in it. Novoselsky is surprised at the “overweening conceit and incompetence” of the Baltic presidents. “Let’s leave alone Russia, that terrible - horrific state. This is how the ‘TriBaltlics’ think of Russia traditionally. How, for instance, can Estonia participate in the anti-terrorist coalition, if it has no advanced bombers? And no outdated ones either,” he says. Estonia cannot operate in Syria, as no land-based operation is planned there for a number of reasons. Neither such operation is planned in Libya for a number of other reasons, the publicist says. As to Iraq, he thinks, a number of de-mining instructors from the Baltic State might be useful there. “Such involvement would be symbolic, indeed, but not useless. Yet there is a small problem: Russia and Iran are partners of the legitimate leadership of Baghdad. 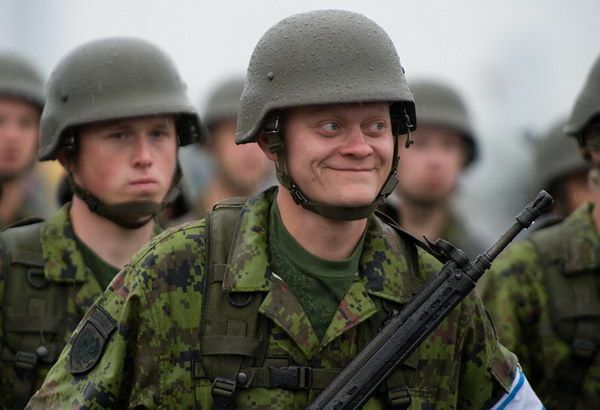 It would be very hard to explain to Baghdad that twenty Estonian instructors are better than twenty Russian fighter jets and IRGC,” Novoselsky says. They can always “participate” in exotic operations, he says, for instance, in Nigeria, where there is oil and “Islamic State,” or in deployment of troops in the Philippines or return to Afghanistan. It remains to persuade their NATO colleagues to start with Nigeria, which will be hard to do as well. A proverb says: I love so but mother says no, Novoselsky ironizes saying the Baltic elite does not mind demonstrating its importance, but not with Russia and not when mother (U.S.) says ‘no’. “What will an adequate leader do in such situation? For instance, he could offer his support to NATO allies, if they asked. He would not jump the gun. What does the inadequate leader do? He talks buncombe about Russia - this is what he usually does – and can hardly understand what is going on. I doubt that President Ilves can find Syria on the outline chart. Perhaps, he cannot find it even on the map. Instead, he is always ready for anti-Russian hysteria,” Novoselsky said. It should be recalled that last week, the presidents of the Baltic States had a meeting in Palanga, Lithuania. All the three leaders said then that their countries would not join any of the West-led coalition to fight the terrorist group “Islamic States” if Russia joins it. “Lithuania will not take part in any new coalition in which Russia will participate or would like to participate. To this day Russia is occupying the territory of one country and committing acts of war in two countries, Ukraine and Georgia," President Dalia Grybauskaite said. Estonian President Toomas Hendrik Ilves, in turn, told reporters: "We have to think seriously about any coalition that would involve an aggressor like our neighbor." 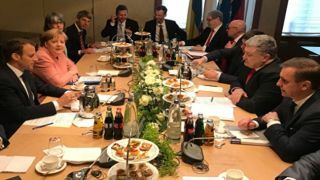 Latvian President Raimonds Vejonis said the situation in the EU and around its southern borders "should not take our attention from Ukraine. It is our common task to keep the issue of Ukraine high on EU agenda until the full resolution of the Minsk agreement," he said.